A great tank top. Fun for training walks, yoga or zumba classes or just for hanging out. 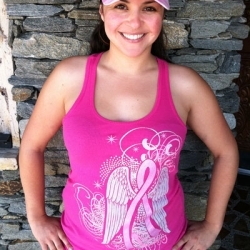 Make a statement with this Pink Ribbon tank top. This cute tank is almost sold out. 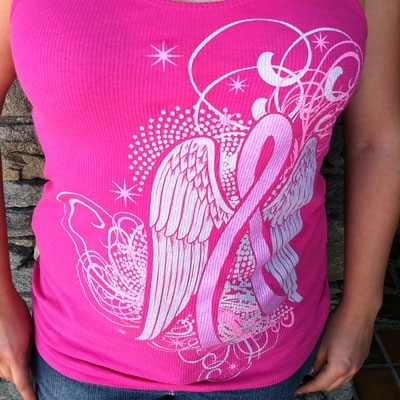 It is available in pink in sizes Small (only 3 left) and XL (only 1 left). The tank top is running a little small (it is a fitted top). I also have a few of this tank left in black. I have size Small (12 left), Med. (just 1 left) and Xl (only 1 left) Size Medium and large in the pink are SOLD OUT! *Please choose a size from the drop down menu!